When the love of your life asks for your hand in marriage, a commitment unlike any other, a million thoughts begin to race in your head, and one of them is hopefully “yes.” Once you find the person you were meant to be with, that means the hard part’s over right? Well, if you have decided to plan an elaborate and large wedding, not quite. Planning a wedding can be a very stressful time, and not just stressful, but expensive. A wedding ceremony and reception have many moving parts to make your vision turn into reality. These moving parts require time, persistence, and funding. Since wedding planning as a whole is quite a task, we wanted to make finding your wedding cater a breeze. 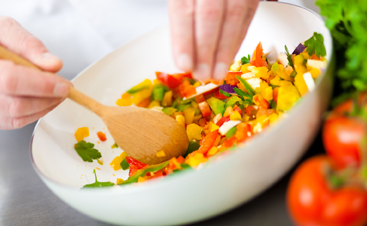 At Thomas’s Catering in Livonia, our catering team will be able to be there for your special day to help prepare, serve, and clean up the delicious meal you have thought out for your guests. 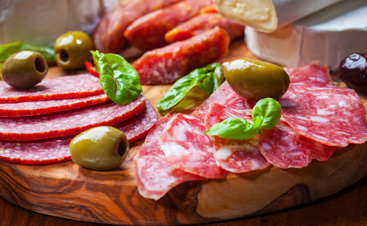 We have some great options on our catering menu and we want to help make your day a truly special and lovely occasion. Choose from an array of options and enjoy some great prices as well. While not everything can be as easy as finding your wedding catering, we wanted to give you some amazing tips on how to save for your dream wedding. Following these tips can make or break that photographer you had your eye on, or getting our distinctive buffet. Many couples, right after they get engaged, start discussing their wedding, mainly because of the excitement surrounded by it. One thing you should do first and foremost is figure out the timeline till your wedding day. One tip is to either have a long engagement or to have a short one, not in between. If you know you are going to get married, just do it. Having a shorter timeline that is only a few months long, as opposed to a year, will help you make decisions quicker and ultimately will help you save money. Having a wedding in 6 months versus a year will leave less temptation to have an elaborate and expensive wedding you are not able to afford. At the same token, having a long engagement is also a good idea if you are planning a larger wedding. When you have a two-year timeline, you can plan around sales and when the best deals are going on for all types of things involved in your wedding. You also will be capable of doing in-depth research on venues, photographers, DJs, and wedding catering. If you know your wedding is going to be all about sparkle and pops of gold, pay attention to end of season sales at home good stores, as they will most likely have the decorations you need, and for the right price at that. Most of us know wedding season to be between May and September. However, in the last few years, wedding season has become considerably longer starting in April and ending in October. With that said, this long stretch of time is now considered the peak seasons of weddings, and has a price tag to go along with it. Not only does the month you have your wedding in matter, but also the actual day. Saturday weddings are going to be the most expensive no matter which season you pick. If you plan your wedding accordingly, you can save hundreds if not thousands of dollars by having your wedding on a Sunday or weekday. Additionally, many venues will allow discounts for weekday weddings as well. One of the most exciting parts of wedding planning is picking the venue. This is the space where all your friends and family will gather and see you marry the one you truly love. This day is more than special, it is a monumental life moment and you should find a space that represents the two of you. A way to save some cash is to pick a venue of the non-traditional variety. Picking a park, city-run space, or a garden could produce the wedding you’ve always dreamed of. If outside or a non-wedding venue isn’t what you pictured, that’s ok! Another tip we can give you is when you do pick a venue, pick a place that gives you the option to bring in your own vendors, like Thomas’s Catering. When you choose a venue in Livonia with more flexibility, you can save tons of money by finding your own sources. If you know you will be having a lot of out of state guests try to find a venue that will accommodate all your guests as well. Getting married in a hotel is a good option since they will give you a discount on hotel rooms and usually only charge for the food and not the actual space. If a hotel is out of your budget to look for houses you can rent that can double as a space for your loved ones to stay. The courthouse is also great option for a beautiful and spacious area for your wedding. A courthouse as a beautiful backdrop, and helps you get all the paperwork out of the way. If you get married at the Livonia courthouse, you will be able to splurge more on your reception space, open bar, or our wedding catering. Finally, you may want your venue to be for your ceremony as well as your reception. This saves money on transporting the bridal party to a different location as well as making it much easier for out of town guests to find their way. Having everything in one place will hopefully keep you more at ease as well. Finding a wedding dress is one of those once in a lifetime moments. Once you put on the dress and the tears start flowing, you know it’s the one. One of the most devastating scenarios is when you put on a wedding dress that you absolutely adore and you realize it is way over the price you can afford. Don’t let this happen to you. If you set a budget for your dress, stick to it. Don’t try on anything you can’t afford and break your heart for no reason. A way to save some money and still get that Vera Wang mermaid gown you have always longed for is by shopping at sample sales. A sample sale is held at certain stores that will highlight certain designer pieces at an extreme discount. Get on mailing lists for some of the well known bridal shops in Livonia and the surrounding areas. Being on an email list will allow you to get the updates about big sales. Another popular option is renting or borrowing a dress. Many people sell dresses online they have only worn once or have never worn, many times due to finding something else or not fitting into the dress. Join online communities and start tracking sites to see when wedding dresses may pop up. A final option is to look for a wedding dress where they are not advertised. Many prom dresses come in white and can look very similar to a traditional wedding dress. Prom dresses are usually much more affordable because they are made for high school students. Also, you can always find a bridesmaid dress that comes in white and decorate it to your liking. This will give you an absolutely one of a kind dress and will be much less expensive. 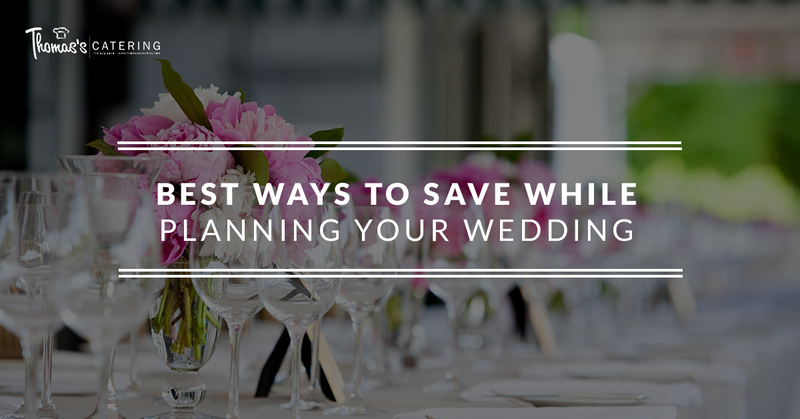 These are just some of the ways to help save for your big day. Don’t let the budget of your wedding overwhelm you. Your wedding doesn’t have to be $30,000 if you don’t want it to be. When it comes to the delicious bites, entrees, and desserts, let our wedding catering company step in. 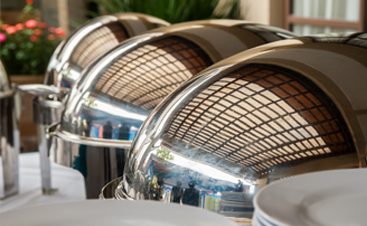 Our catering team in Livonia is professional, personable, and efficient when it comes to servicing your guests. Enjoy traditional dishes with a twist and great prices from your wedding catering. Check back for our next blog with even more tips on how to save for the big day!